This entry was posted in bath and body, bath products, candle fragrance oils, candle making supplies, Fragrance Oils, Natures Garden, Natures Garden Fragrance Oils, Soap making supplies, Uncategorized, wholesale fragrance oils and tagged amazing bath bomb recipe, amazing bath bomb recipes, Argan Oil, bath and body, bath and body products, bath and body recipes, bath bomb citric acid, bath bomb diy, bath bomb diy recipe, bath bomb ingredients, bath bomb making supplies, bath bomb mold, bath bomb molds wholesale, bath bomb tutorial, bath bombs recipes, benefits of green tea for skin, Bentonite Clay Powder, body safe fragrance oil, body safe fragrance oils, body safe scent, Crafts, diy, fragrance, fragrance oil, fragrance oils, fragranceoil, free recipe, French Green Clay Powder, green tea, Green Tea Bath Bomb Recipe, green tea benefits, green tea leaves, Green Tea Powder, Lemongrass Kiwi Cassis Fragrance Oi, natures garden, natures garden candle supplies, soap making supplies, soapmaking, soapmaking supplies, wholesale fragrance oils on August 9, 2018 by Deborah Ward. Green Tea is incredibly popular these days. 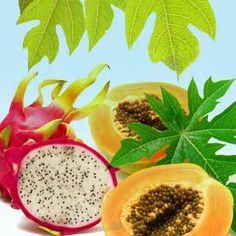 It’s considered a super food in today’s world of healthiest foods to eat or drink. However, this little leaf that’s made into a tasty beverage, isn’t just for drinking! While the health benefits for the inside of your body are endless, green tea can be beneficial for the skin as well. It can be used in a toner, facial masks or scrubs. Lotions, soap, shampoo and conditioners. In fact, Nature’s Garden has developed a brand new Green Tea bath bomb recipe that incorporates the mighty Matcha! Before we get started, though, let’s talk about what Green Tea can do for your skin. Green Tea contains polyphenols called catechins. These powerful antibacterial agents that are responsible for effectively delaying the signs and symptoms of aging. 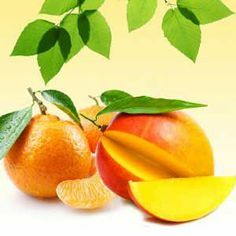 Also present are high amounts of enzymes, amino acids, vitamin B, folate, manganese, potassium and magnesium. These nutrients are perfect for improving your skin complexion and giving you a healthy glow. Not only will it improce the skin’s elasticity, but the antioxidants, tannins and Vitamin K in green tea can help treat puffy eyes and dark circles. Green tea is perfect for those that suffer from acne. It is also wonderful for correcting sun damage, age spots, fine lines and wrinkles. It can even promote new hair growth and prevent common problems like dry scalp and dandruff! It’s amazing stuff, that’s for sure! There’s no time like the present on getting started with treating your body right! Trying out our new bath bomb is the perfect way! Did you know? There are four main varieties of green tea prepared in Japan. Each type depends upon it’s leaf length, method of processing, and season of harvesting. However, the most common kind of green tea that I am sure we are all familiar with is, Matcha. This is the leftover powder of green tea and it is also called “Dust”. While this green tea has a more subtle, aroma and natural sweetness than the other varieties, this tea is more common in traditional Japanese ceremonies. Before you get started on creating your bath bombs, it’s important to take a few precautionary steps. Always clean and sanitize your work area. Plus, you will want to make sure all of your utensils packaging materials are clean and sanitized. We strongly suggest that you should wear gloves, safety mask, safety glasses and protective clothing when preparing this recipe. Have a spray bottle filled with the witch hazel ready to go and all your equipment within arms reach. These steps will allow your creating to run smoothly with no interruptions! While we could have used our Green Tea Fragrance Oil in this recipe, we chose to use Lemongrass Kiwi Cassis. 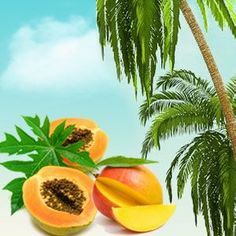 This fragrance oils is an unique, refreshing combination of fresh lemon pulp, orange rinds and tropical kiwi along with middle notes of eucalyptus, cassis, green tea, and bamboo. The base notes are of cedarwood and vanilla! A very uplifting, fresh green fragrance! It works perfectly in cold process soap, with no discoloring, accelerating, ricing or separating. The scent retention was strong and perfect! For this recipe we will be using citric acid and baking soda. Citric Acid can be used for many different industries and products. It can be used for medicinal purposes, skin care, hair care, bath and body products, soaping, and cleaning purposes. When used in soaps, it works as a water softener, and helps to produce better foam. When used in bath bombs and combined with baking soda, citric acid is responsible for the actual “fizzing” action of the bath bombs. Baking soda. Many skin care benefits come from baking soda. It gives the skin a silky and soft feeling, helps to treat many skin conditions and is also great for exfoliating the skin. For hair care, baking soda can be used in a rinse to make the hair softer and give it a silky feeling. French green clay powder is a perfect addition to this bath bomb recipe. French Green Clay is the most frequently used clay by health professionals and spas to treat skin conditions, to nourish the skin, and to remove impurities. This clay is light green in color when dry, but turns dark green when wetting agents are added. The reason French green clay is green is because it contains actual decomposed plant material; making French green clay very nutritious for the skin. It contains some very important minerals such as, Calcium, Iron, Magnesium, Phosphorus, Sodium, Potassium, Copper, and Selenium. Since French Green Clay powder is so full of healthy minerals, it can be added to mineral baths to help nourish the skin, remove impurities, relieve sunburn, and to aide in the relief of arthritis pain. Bentonite clay is a light greenish/beige colored clay that turns an olive color when water is added to it. Also, Bentonite clay is used in face mask formulations to help clean impurities from the skin and adding bentonite clay to bath bomb recipes helps to make your bath bombs harder. A green tea bath bomb wouldn’t be complete without, of course, the Green Tea Powder and we all know how awesome this is for your skin! We have also included Green Tea Leaves. These leaves are cut and sifted and will help give you some gentle exfoliation! While you can use any oil that you have available, we chose Argan Oil. This oil is very luxurious feeling and helps leave the skin soft, smooth and supple! To begin with, you will need two mixing bowls. The first mixing bowl will be for your dry ingredients and the second bowl will be for your wet ingredients. In your first bowl, weigh out 300 grams Citric Acid, 600 grams Baking Soda. Using your hands or a large mixing spoon, combine these ingredients together until fully mixed. Set this bowl aside, while you get the wet ingredients together. Next, in the second bowl, you will prep the wet ingredients. So, in the bowl, weigh out 18 grams of Argan Oil and 18 grams of Lemongrass Kiwi Cassis fragrance oil. Give these a stir with your spoon. Now we are going to add the two bowls of ingredients together. To the dry ingredients, add the bowl of wet ingredients. Next, you will be mixing the ingredients together. Using your hands to combine the ingredients well. You want to be sure the oils are evenly dispersed throughout the mixture. Now we are going to divide our mixture in half. Leave one half of the mixture in the bowl and place the other half of the mixture in another mixing bowl. Next, to the first bowl, weigh out 5 grams of French Green Clay and 5 grams of Green Tea Powder. Mix these ingredients together using your hands. Now you will take the second bowl of mixture and weigh out 5 grams of the cut and sifted green tea and the 5 grams of bentonite clay powder. Give this a good mix together using your hands. At this time, we will begin using the witch hazel that was prepped earlier in your spray bottle. Begin with the first bowl and spray the mixture while mixing the contents with your hands. You want to keep spritzing and mixing until you have a crumbly dough-like consistency throughout all the bath bomb dough. Once the first bowl is done, you will set that aside and do the same with the second bowl. Now you will be forming the bath bomb and for this you will need your bath bomb molds. Keep in mind that each mold set will consist of two differently shaped parts. So, take one half of the bath bomb mold and fill it with the mixture that contains the green tea powder. Pack this into the mold half tightly and compactly. Next you will be making the second half of the bath bomb. Using the mixture that contains the cut and sifted green tea, pack the other half of the mold tightly and compactly. Now you are going to put the bath bomb together. Before doing so, lightly mist each half of the bomb with the witch hazel. Then, press the two halves together tightly. The mold should snap together. You can set this mold aside to set up and continue the process of packing the halves of the molds and putting them together with the remainder of the dough. This recipe makes 6 bath bombs. Finally, you will give your bath fizzies enough time to set up. This can be anywhere from 24-48 hours depending on the humidity of your environment. Keep your bath bombs in a cool, dry area away from places that they could get knocked down or roll away. You can choose to keep your bath bombs in their molds until you are ready to use them. This makes selling or giving your creations easy, clean and simple! However, if you wish, you can also remove the bombs from their molds and package them how you prefer. When it’s time for a bath, simply drop a bath bomb into some warm, running bath water. Relax and enjoy a nice, soak in a beneficial bath! We hope you enjoyed this new recipe from Nature’s Garden. Using green tea in any or all of your bath and body products is sure to give your skin some glowing, healthy results! If you would like to add another green tea bath product to your line, check out our Green Tea Blooming Bath Oil. This bath oil has some skin softening oils that will leave your skin feeling extra moisturized and luxurious! If you would like to learn more about how amazing green tea is, follow this link to read about 10 Proven Benefits of Green Tea. It’s a very informative article that may inspire you to start adding this healthy beverage to your diet! Let us see what you have been creating! You can find us on Facebook, Twitter (ngscents) and Instagram (ngscents). We love hearing from our customers and seeing what you have been up too! Plus, it’s a great way to show off something you are proud of! Show us and show everybody! This entry was posted in bath products, candle making supplies, Fragrance Oils, Natures Garden, Natures Garden Fragrance Oils, Soap making supplies, wholesale fragrance oils and tagged bath bomb diy recipe, best room scent, best tropical fragrances, body safe scent, candle making supplies, cp soap, diy bath and body, diy body lotion, diy candles, diy lotions, diy room scent jars, diy soap, diy water bead air freshener, exotic scent, fragrance oil, fragrance oil spotlight, fragrance oils, fragrance oils for soap, fragrance that smells like the beach, fragrances for candles, fruity fragrance oil, great soap scent, green household cleaning products, hawaiian sea mist aroma, Hawaiian Sea Mist Fragrance Oil, hawaiian sea mist scent, Hawaiian Sea Mist scented soap, home fragrance oil, homemade bubble bath, homemade incense sticks, homemade soap, how to make scented candles, island fragrance oil, island scent, make wax melts, natures garden, room scent recipes, scented candle ingredients, scents for handmade soap, scents for homemade candles, scents for soap, shea butter cold process soap, soap fragrance ideas, soap fragrance ingredients, soap making oils, soap making supplies, soap scent ideas, tropical fragrance oils, tropical scented candles, wholesale fragrance oils on July 15, 2016 by Deborah Ward. 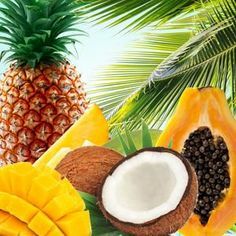 Hawaiian Sea Mist Fragrance Oil is a complex and tropical scent by Natures Garden. 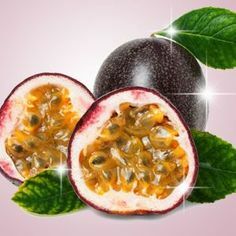 This aroma is a complex combination of sweet fruity notes with tropical spice, woodsy, and earthy scents that create a gorgeous fragrance oil for handcrafted creations. This is an aroma that many of our customers have found to be a beloved scent for their various products for customers and loved ones. What Does Hawaiian Sea Mist Fragrance Oil Smell Like? This fragrance oil by Natures Garden is a tropical outdoor blend with fruity notes of orange, pineapple, peach and strawberry combined with floral nuances of hibiscus, jasmine and lavender. How Do Our Customers Use Hawaiian Sea Mist Fragrance Oil? This island fragrance oil is exotic, delightful, and perfect for the creation of the best room scent recipes! 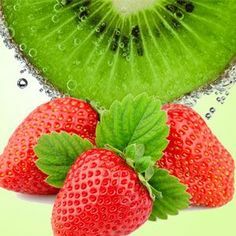 Homemade incense sticks, diy potpourri, diy water bead air freshener, and all sorts of related creations can include this fruit and outdoors blend of a fragrance oil at a rate of 50%. Aroma beads have been known to perform well for this scent. Additionally, green household cleaning products can be created using this tropical fragrance oil. 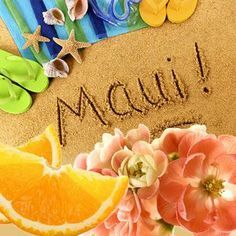 Furthermore, this Hawaiian aroma is perfect for creating all kinds of homemade candles or to make wax melts. These wax room scenting products that are made of either vegetable wax or paraffin wax can include up to 10% of this scent. Scented candles based from soy wax, joy wax, wow wax, or pillar of bliss wax will each be strong and perfect with this fragrance. We would suggest that you use either four drops of red Spectrum Liquid Candle Dye with one drop of blue Spectrum Liquid Candle Dye or a small amount of shredded blue and red color blocks. If you choose to color your wax differently, then know that crayons will clog a candle wick. 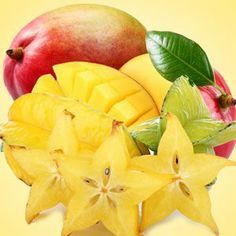 This complex sweet and tropical fragrance oil is perfect for crafting all kinds of bath and body creations. This scent is a near vacation for your senses that would perform perfectly in products like homemade bath bombs, diy body lotion, homemade bubble bath, and other related products. These bath and body creations must have under a 5% concentration of fragrance. Various kinds of soaps can be created with this body safe scent, including cp soap. This delightful fragrance oil has shown in our Cold Process Soap Testing Results to be an extremely good choice for this method of soaping. A batch of Hawaiian Sea Mist scented soap will have a perfect pour, no acceleration, no ricing, and no separation! Further, this scent will remain good in the final product and there is no discoloration. If you are wanting our suggestion on coloring your bath and body products, then know we would use red and blue liquid soap colorants in the amounts that appear best for a products containing this scent. If you chose another coloring method, then avoid using candle dyes.